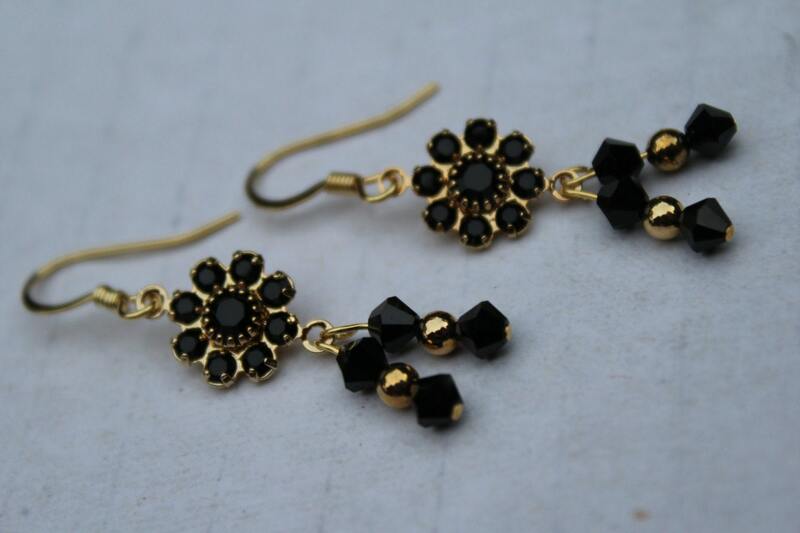 Black, crystal flower dangle earrings, with gold plated accents and ear-wires. 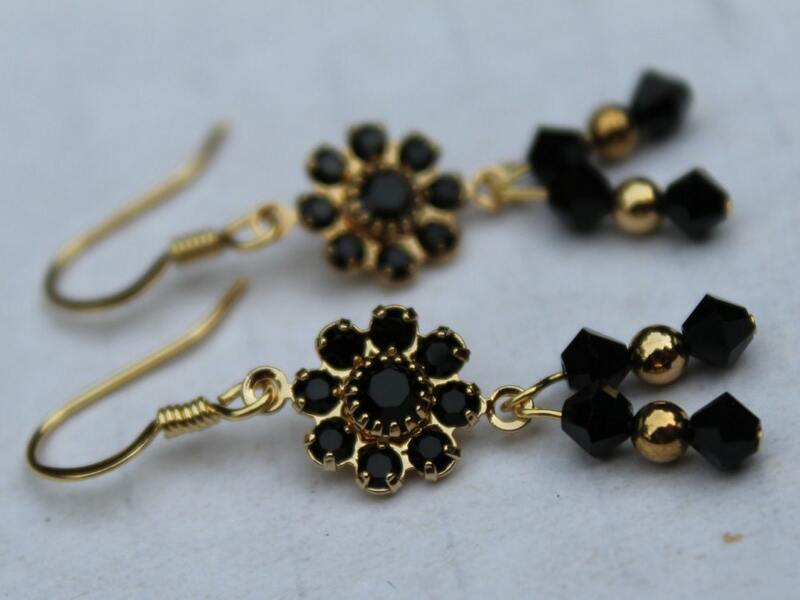 If you love wearing the color black, and you love a little sparkle, these earrings were made for you! They were made using Swarovski crystal flower elements and bicones. The bottom dangles will move and catch the light with every step you take. The flower portion of the links are 10mm. They are gold plated. The entire length of these earrings is approximately 1.5 inches from top to bottom. 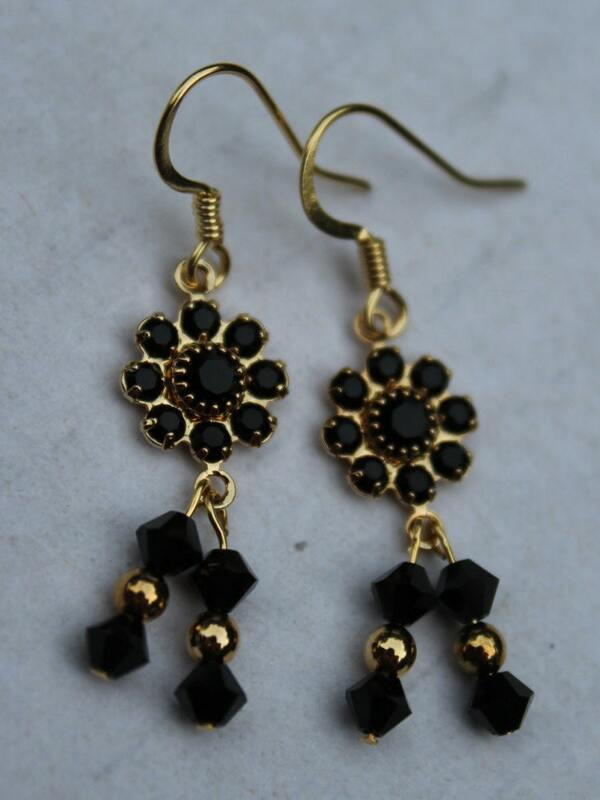 The dangles alone (from the top of the flower to the bottom crystals) measure approximately 1 inch.